HCM CITY (VNS) — The Viet Nam Football Federation (VFF) has invited Nguyen Thanh Son to be an assistant to national team manager Toshyia Miura. 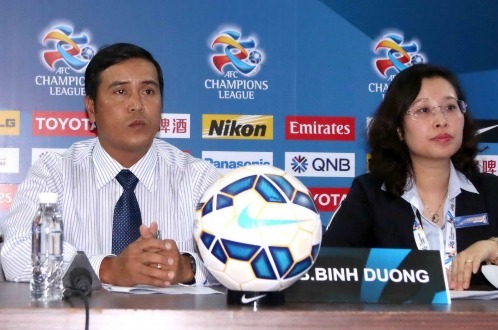 Son is acting coach of the V.League 1 champions Becamex Binh Duong. Apart from Son, the VFF has also invited Tran Cong Minh, former national defender, to be one of the assistant coaches and Nguyen Quoc Tuan, of Hoang Anh Gia Lai, as the goalkeeper coach. They are to work for the U23 team. The Japanese manager will also take charge of the national team where he will be assisted by Ngo Quang Sang, coach of Dong Tam Long An, keeper trainer Nguyen Duc Canh and Norimatsu Takashi, manager of the national women's squad.